I wanted to get y'all's opinion on this setup. I have a stock 2002 LB7 that is due for injectors. I intend to replace them but I want to go with 30% over injectors. Would my stock components be able to handle these injectors. I also intend to get a FASS 165 lift pump to help with fuel filtration and fuel supply. Would I need to tune the truck after? I also plan to get a bigger turbo but in a couple of years. I am looking at Duramaxtuner's Stealth 64 and 67. Which one should I go with? I want that loud turbo whistle but I also want reliability and to keep my stock components. What do y'all think? i think that this largely depends on what tune you have on the truck, who made it, and how heavy your right foot is. you will need to tune the truck to run 30 overs or it will just smoke like crazy. (you may want to look at the SAC injectors since they are supposed to be more reliable). Any time you add power you increase the risk of things breaking. You can do everything your wanting to do on a stock engine and it will run fine until it doesn't. If you are after reliability your going to need to spend the money to do the build right. That means an upgraded transmission is in your future, and things like headstuds are probably not a bad idea. Additionally, before adding power you should make sure the truck is 110% in perfect mechanical working order or your funds should go towards fixing problems first. With reliability being the primary concern, you should either keep it stock, maybe add a lift pump and some other small stuff to improve injector life and reduce wear. Or you should do the injectors, since they are due, add a light tune so you dont dump diesel everywhere out the tail pipe, then build the trans, then do your turbo and other toys. Its important to balance the fun upgrades with the functional ones. 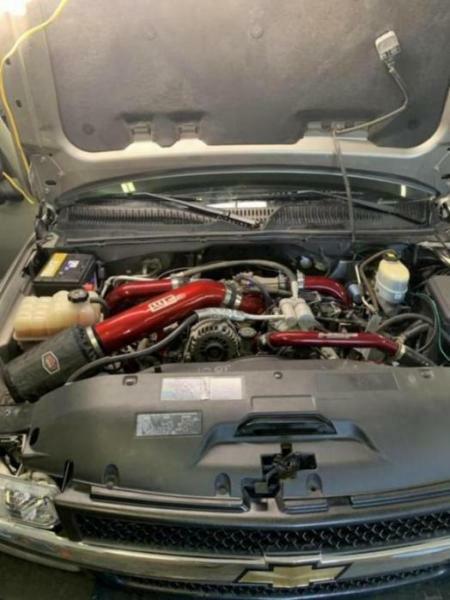 Adding big injectors, a turbo, dual CP3's and the like is fun, but if you have a stock engine, stock rods, stock head bolts, your likely to run into problems at some point. To keep the reliability factor high you need to also upgrade the engine and transmission components as you add power. generally speaking it is considered safe to add 50-100 horse power over stock without any major modifications to the truck, note, that upgraded injectors are NOT required for this level of power. So the gains you would be wanting based off the injector upgrade would require a built transmission at minimum. Yes you can run the truck with the 30 overs and a safe tune that wont break things, but if your buying 30 overs for power, thats probably not the direction you are looking to go. The turbo won't really whistle much on the low end. The stock cp3 will pushit but I'd go with a stroker 12 would be best if your wanting to go big power down the road but a stock is fine with 30 over. I'm running a s366sxe with stock cp3 and sticks and I'm fine. I would highly recommend paying just a few dollars more and getting a set of SAC 45 injectors. The SAC 45 injectors and are V2 64mm turbo work very well together! Let me know if I can help or if you have any questions for me. I don't understand " injectors are due". If the truck is not puffing white smoke at idle it's pretty much a wast of $ to change them injectors. The LB7 came stock with inadequate fuel filtration and that is why injectors were failing early. The best thing to do for your injectors if you haven't already done it is to get a catapiller fuel filter adapter and use the cat filter. Diesel fuel can be very dirty and the dirt particles in the fuel sand down the tip of the injector until they do not seal well anymore and start dripping fuel. Save the huge expense of injectors and give your injectors clean fuel. Just because it isn't smoking doesn't mean the injectors are fine. There is a lot more to injector health than that.... Yes, filtration is a KEY element to keeping injectors happy, but that's not the only reason LB7 injectors went bad. Saying that your stock components can handle that setup is easy to do, but there are a lot of things that factor in to that. Tuning, driving habits, condition of engine parts and maintenance. But I would say yes as a general answer. I have a 2002 that I have been sled pulling with since 2012. My truck is set up with Fass 165, 60% injectors, LBZ cp3, and a Fleece 63mm Cheetah turbo. I competitively sled pulled up until the end of the 2017 season on a completely stock engine, with stock head bolts and gaskets. You have to realize, I was playing with fire-and I knew it. But I made it all that way on a stock engine with 266k miles. I agree with @[email protected] with going with the SAC 45s. And yes, tuning after doing the larger injectors will let you get the full benefit of the injectors, even if you don't do the turbo for a while. I have never run a Stealth, but I know a handful of people that have. Most of them had turbo issues pretty soon after install. They all have gone different directions with their setups. Either way you go, if you don't use your head and treat the truck sensibly after you have fueling and air flowing well, a 63/64/67mm charger is enough to hurt a stock engine if beat on the wrong way. The upgraded stock filter in my opinion is as good or better than investing in a adapter and a cat filter, many have had problems with air leaking through the adapter and the ratings on the new stock filters is virtually the same as the cat filter.